NOD 25 – the PDF version – is now up for sale at Lulu.com. The link to my shop is on the right, or you can click HERE to go directly to the magazine. What does it hold? 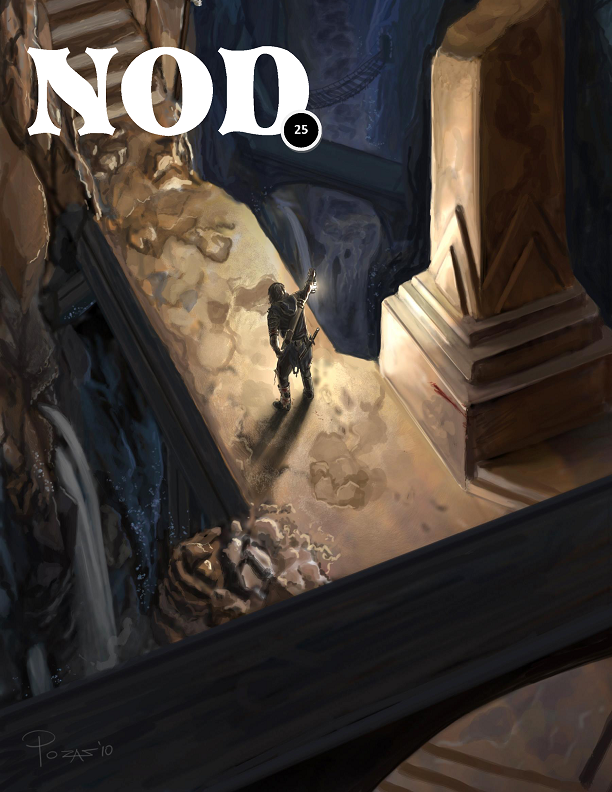 NOD 25 – First issue of 2015! In this issue, the Klarkash Mountains hex crawl through weird, goblin-infested mountains. Also – The Thirty Years War Camapaign, the Landsknecht class, a Pen & Paper Football Game (American Football), random tables for making weird ecologies and a couple magic items. 76 pages. Now that it’s up, it’s time to start writing NOD 26, and to polish up the next Bloody Basic edition. GRIT & VIGOR is being play-tested now, and if I can find the time I’m going to do a short play-test adventure on Google+, in case anyone is interested. Sign me up for Grit and Vigor! Excellent! Been looking forward to this one for a while. Any word from Fat Goblin on the updated Mystery Men! ?